LakewoodAlive is excited to welcome MaryBeth Griffith to our team to serve as Staff Program Assistant. In this role MaryBeth works with staff members to support orchestrating each of LakewoodAlive’s programs, while also serving as the first point of contact for greeting visitors to our office and answering phone calls. MaryBeth comes to LakewoodAlive from Franklin University in Columbus, where she earned a bachelor’s degree in Communications. She previously honed her outstanding customer service skills while employed in the fast-paced restaurant industry. A native of Columbus, MaryBeth was drawn to Greater Cleveland – and Lakewood in particular – by the unique collection of vibrant, inner-ring neighborhoods and the strong sense of community existing within them. She started at LakewoodAlive on November 20 and assisted with the successful execution of Light Up Lakewood, our signature community event drawing 20,000 attendees to Downtown Lakewood, on just her ninth day of employment. MaryBeth currently lives with her dog Harvey, a Jack Russell Terrier-Beagle mix who enjoys swimming at Edgewater Park. 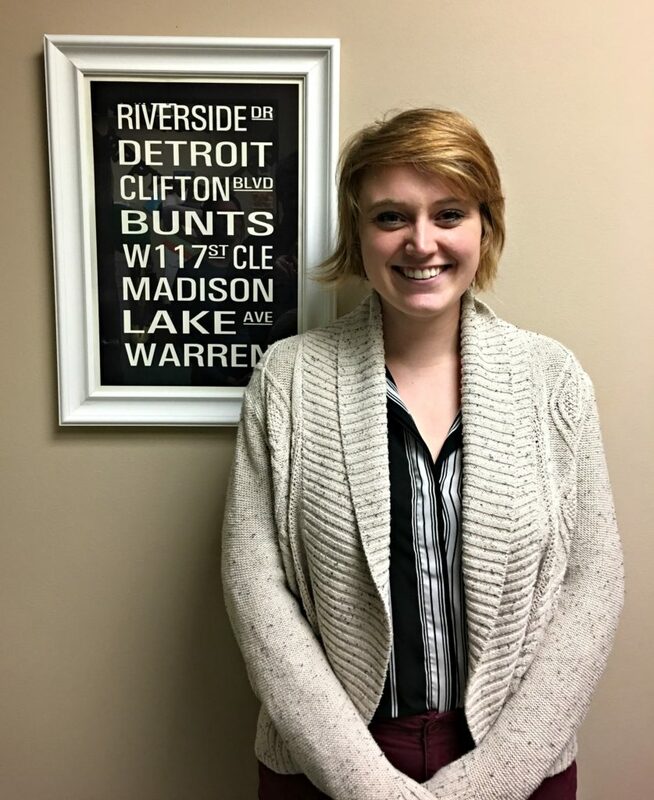 In her spare time, she enjoys drawing, cross-stitching and watching sports, especially involving her favorite teams – the Cleveland Indians and Cleveland Browns.